The Paper Doll Dress Up cartridge has so many items for Halloween - I think everyone needs this cartridge even if they never make a paper doll! 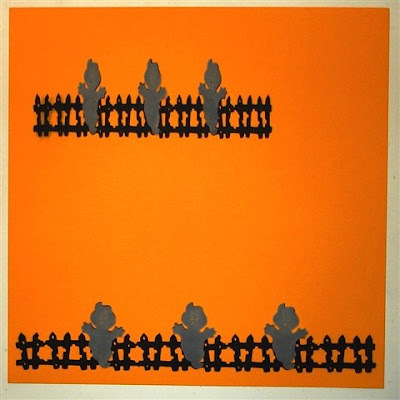 Here is a border design I made using the rickety fence and the ghost. I did this as an adjustable design so you can resize it to suit your project. The first page of the file has two of the designs set up for a 12 x 12 and an 8 x 8 page border. There are also layers for the ghosts to cut on the same page. 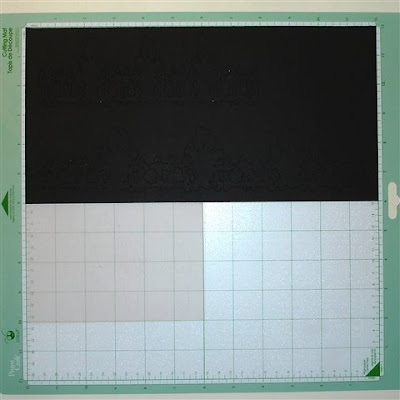 If you want to cut just one size you can copy and paste the design and the layers you need to a new page and arrange your paper on the mat to cut everything at once. 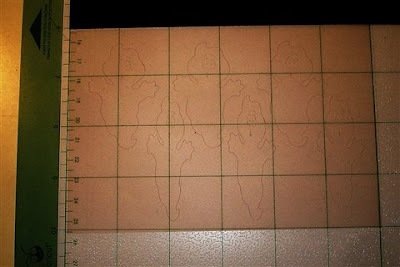 Here is a photo of my mat with the black cardstock and vellum set up to cut both designs. 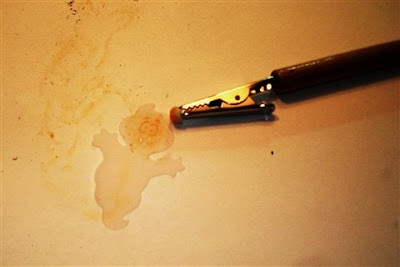 Below is a close up of the vellum after cutting - you can just barely see the cut lines. I used the same settings to cut both the cardstock and the vellum since it was all done at once and the vellum cut very nicely. In order to make the ghost faces on the vellum layers show up a bit better, I used my new chalks to rub into the face cuts - I tried dark gray first but, when the ghost was layered on the black base, it was hard to see the face, so I then tried orange instead. Below is a close up of the chalked ghost face. 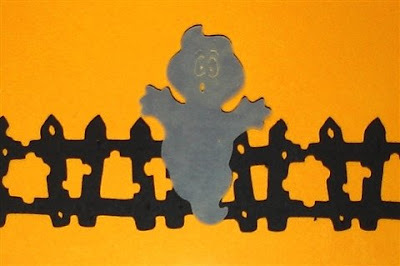 while the 12 x 12 border has "fatter" ghosts - they all look fairly friendly and cute! Diane, I've been exploring your blog this evening. You have some great ides on here. Thank you so much for sharing. I just want to Thank You for sharing you hard work. I think I will use you black cat card to send to my three youngest Grandbabies.